Texas PBS strives to provide resources to kids, families and teachers to help get kids ready for school. For more than 40 years, PBS stations have been working in their communities to provide resources to help kids and families. We provide statewide educational resources for children, caregivers and parents with media tools based on research and community engagement efforts proven to help build early literacy skills for young children. 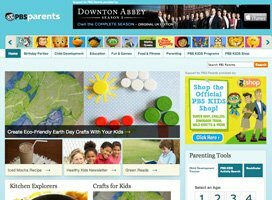 PBS Kids: The Most popular kids website in the country, with more than 13 million unique visits per month. Episodes, games and printables for every show. 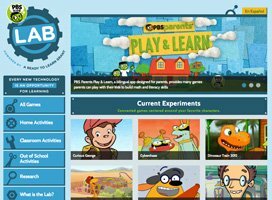 PBS Kids Lab: The latest research-based, standards-aligned games, activities and resources for kids and educators. Recently, Texas PBS joined with the United Ways of Texas to form the Texas Campaign for Grade Level Reading. This is a community-driven initiative to improve reading scores across the state. The Campaign is a collaborative effort by foundations, nonprofit partners, business leaders, government agencies, states and communities across the nation to ensure that more children in low-income families succeed in school and graduate prepared for college, a career, and active citizenship. We focus on an important predictor of school success and high school graduation—grade-level reading by the end of third grade. Research shows that proficiency in reading by the end of third grade enables students to shift from learning to read to reading to learn, and to master the more complex subject matter they encounter in the fourth grade curriculum. Most students who fail to reach this critical milestone falter in the later grades and often drop out before earning a high school diploma. Find out when these shows are broadcast in your area here. Get a complete list of PBS Kids programs here. Though collaborative community partnerships, Texas PBS stations provide engaging events and activities targeting children, teachers, families, community leaders and early education stakeholders. Texas PBS Raising Readers offers a range of innovative outreach campaign ideas and materials to make anytime learning time. Preschool teachers and childcare providers often have limited time and limited resources to obtain the quality professional development needed in today’s schools. PBS LearningMedia provides PreK-12 educators with access to free digital content and professional development opportunities designed to improve teacher effectiveness and student achievement. PBS LearningMedia was developed in partnership with the WGBH Educational Foundation and is offered locally by all 12 Texas PBS stations. Hit PBS KIDS® Series Boosts Literacy Skills for Preschoolers Through Interactive Storybook Adventures and Unique Educational Approach on TV, Online and in Communities.